We’ve always been a fan of Happy Lemon’s Coffee or Cocoa with Rock Salt and Cheese. I would crave for it even in the wee hours of the morning. Since Greenhills Shopping Center is not too far away from where we live, it’s quite convenient for us to just drive over and grab our favorite drink. But we found out recently from my husband’s personal trainer, Carlo Capati, that there’s a new tea place along Wilson and P. Guevarra Sts. 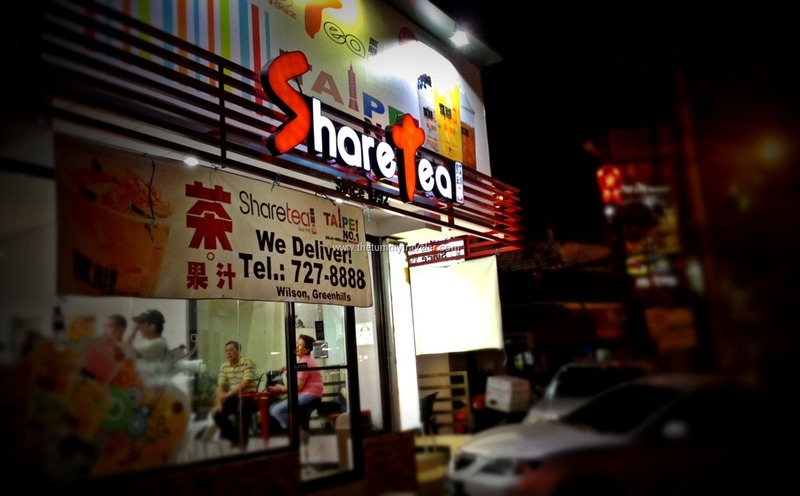 in San Juan called “Sharetea” and they happen to serve Rock Salt Cheese Tea also, as well as Classic Milk Teas, Ice Cream Floats and the like. Great! Another tea establishment closer to home! For those of you not familiar with the area, this used to be the location of “Happy Feet” or “Magoo’s Pizza” years back. We ordered their version of Rock Salt Cheese with Cocoa (Php90.00-regular / Php100.00-large). Look how “cheese-y” this drink is! It’s actually cheesier than its counterpart at Happy Lemon. 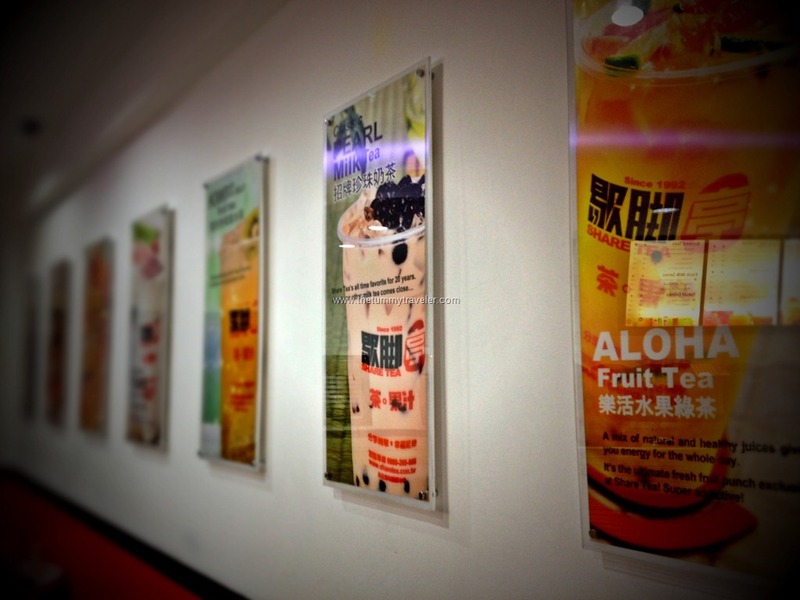 Just like Happy Lemon, you can adjust your drink’s sweetness level to suit your taste. I chose a sweetness level of 75% so that it compliments the saltiness of the Rock Salt. For other beverages, the ice level that will be put on your drink can be adjusted as well – from normal to no ice. 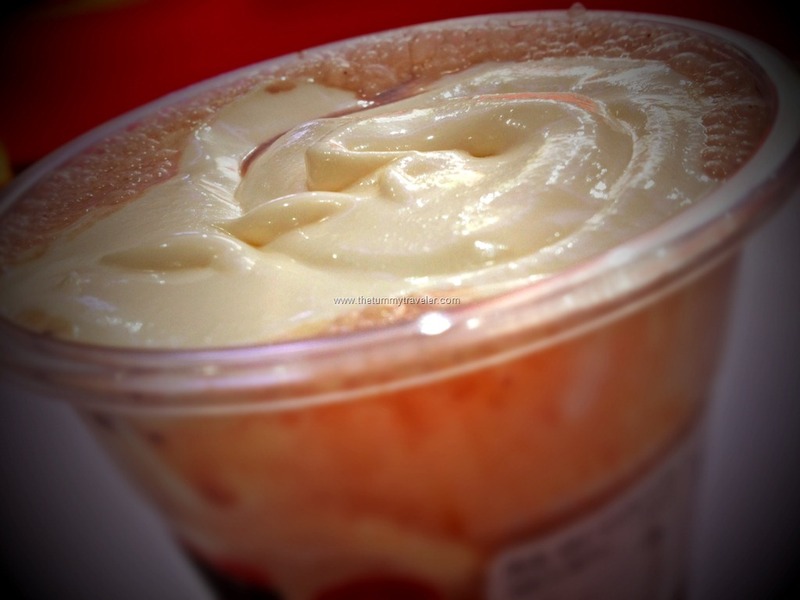 They also have different kinds of toppings for you to choose from: the classic pearl, pudding, ice jelly, grass jelly, jelly strips, lychee de coco, red bean and even aloe vera.